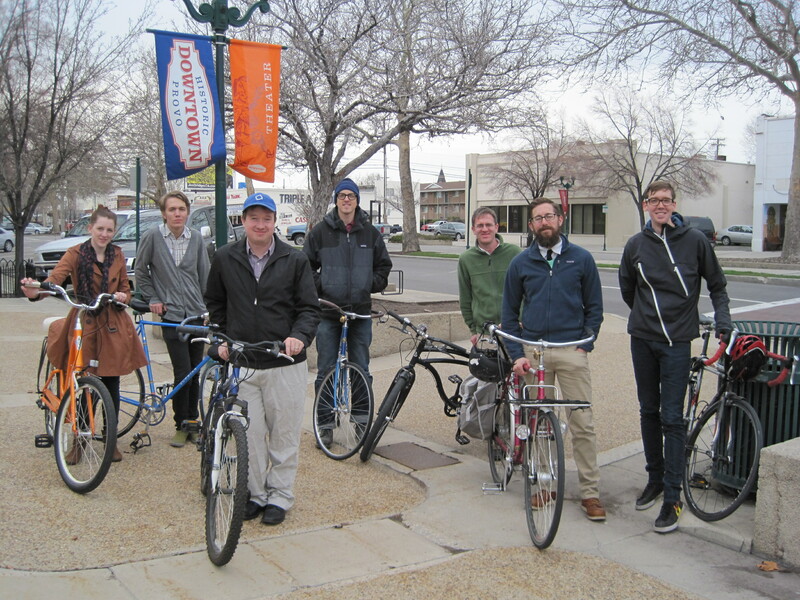 On Thursday night, a group of us braved an ominous sky and went scouting for bike rack locations in downtown Provo. We’re hoping to see new, artistic-style bike racks in key locations including University Avenue, Center Street, and Pioneer Park (where the Provo Farmer’s Market sets up shop in the summer time). Overall, we had a fun ride with new friends and came up with some good ideas for bike rack placement. Several businesses in the area have also expressed interest in seeing racks near their shops and restaurants. If you missed this week’s meeting but know where a bike rack is needed, please let us know. Send your suggestions to: bikeprovo@gmail.com. Look at all those handsome people!